(see the Nomination Document and the Nomination Annexes). The nomination is the Ministry's second attempt in the last two years. In February 2017, the Ministry submitted its first nomination. However, in May 2018, IUCN, the advisory body to UNESCO concerning matters related to World Natural Heritage, recommended that the nomination should be "deferred" requesting a substantial revision. In response, the Ministry withdrew the nomination. 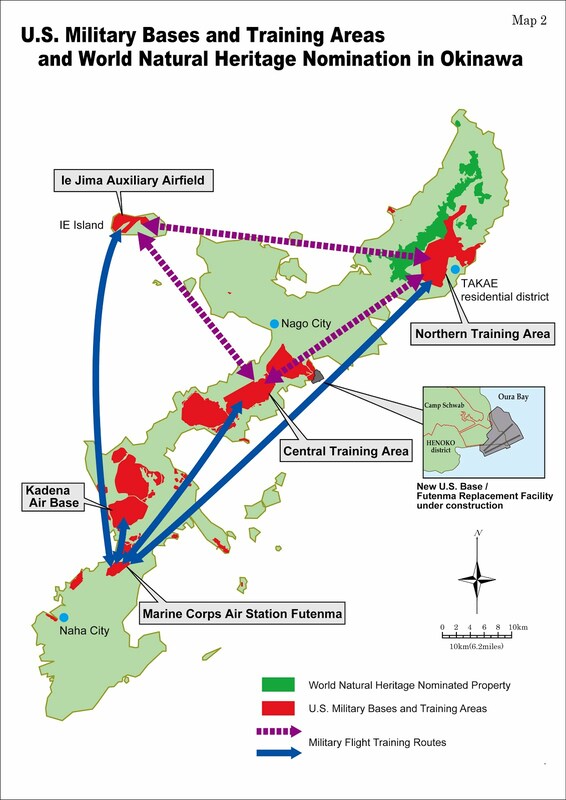 from the previous nomination, especially regarding the issues of the U.S. military’s Northern Training Area (NTA), which sits next to the nominated area of the "Northern Part of Okinawa Island” (NPOI). NTA occupies 3,600 ha whereas the NPOI is 7,700 ha in what Okinawan people refer to as Yambaru forest. The improvements reflect the efforts of local residents and civil society members to direct IUCN's attention to the issues of NTA. 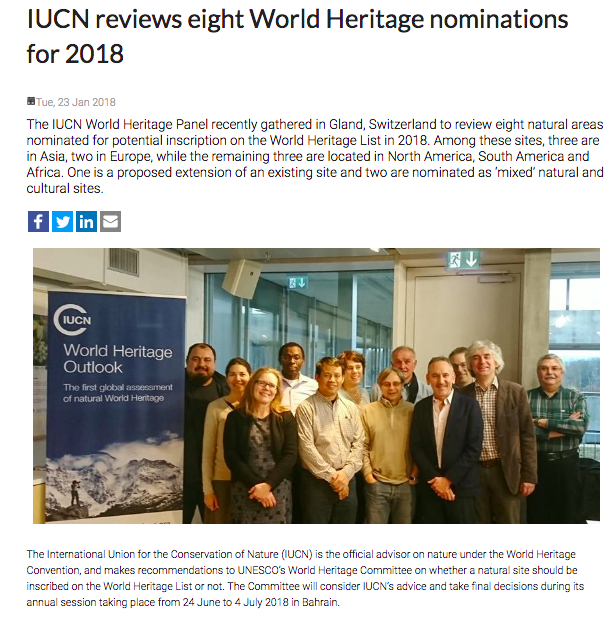 They attest to the integrity of (the World Heritage Panel of) IUCN: IUCN did not dodge these otherwise difficult political issues in its evaluation of the nomination. They confirm the renewed determination of the Ministry of the Environment to get the areas inscribed as WNH sites (see the Ministry's work on the Yambaru National Park). However, many challenges remain and need to be resolved before IUCN can incontrovertibly recommend to UNESCO World Heritage Committee that the nominated areas be inscribed as WNH sites. Below is our explanation of what we mean by the "improvements." 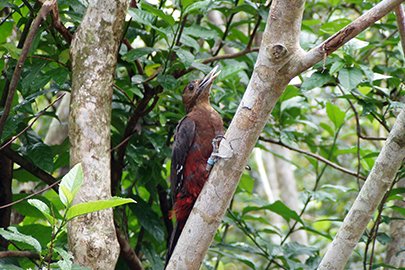 In February 2017, the Ministry submitted to IUCN its nomination of the same four areas for WNH status the first time. The nomination dossier presented detailed descriptions of the ecological systems and biodiversity of the nominated areas. It made the argument that these areas all meet the requirements for WNH status. However, it barely mentioned the presence of NTA in the Yambaru forest and provided no discussion on environmental concerns and problems presented by NTA for the nomination. In the 320 pages dossier, the following sentences were the most extensive description of NTA. There was no information on the impacts of low altitude flight training by military aircraft taking place in NTA on the adjacent NPOI area. There was no word on whether the U.S. military or government was collaborating with the Japanese government in the nomination and inscription processes. There was no inclusion or mentioning of the US military's documents regarding the environment of NTA, which are accessible and obtainable. The Ministry of the Environment repeatedly told NGOs that its "lack of jurisdiction over NTA" prevented the ministry from discussing NTA in the dossier. By the time the Ministry of the Environment submitted its first nomination, we civil society members had already requested that the Ministry address the issues of NTA (especially construction of six helipads) and secure collaboration from the U.S. government. We had also sent a letter to the U.S. military and the government, requesting them to collaborate with the Japanese government. We insisted that, given that NTA sits next to the nominated area of NPOI, collaboration between the Japanese and the U.S. military and government is necessary. After reviewing the dossier, we then began sending additional information to IUCN. Our information included NGOs' analysis of the nomination dossier (see the analysis) and our letter to the U.S. government and U.S. military (see the letter published in the Japan Times). 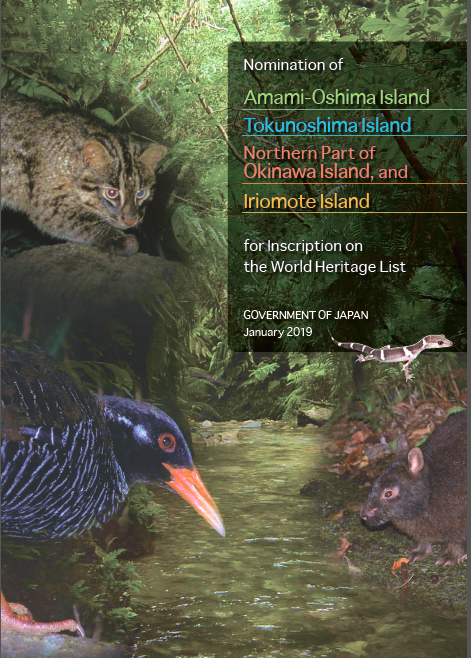 It also included a list of literature regarding the impacts of NTA on the Yambaru forest. It also included copies of excerpts of the U.S. Marines’ Integrated Natural Resources and Cultural Resources Management Plan (INRCRMP), which provide information on the environment of NTA as well as on military training and conservation measures carried out in NTA. Our efforts also gained global support. 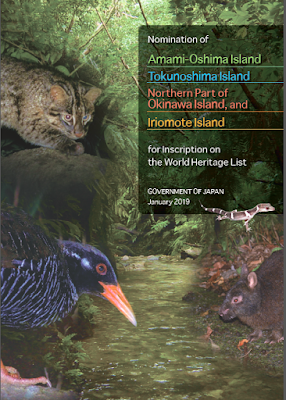 In June 2017, at the World Heritage Committee meeting in Krakow, Poland, a U.S. NGO helped distribute to attendees copies of the briefing package Japanese NGOs had prepared regarding NTA (see the Briefing Package). In December 2017, the City Council of the City of Berkeley, California adopted a resolution endorsing the NGO’s request for the U.S. government and military to collaborate with the Japanese government for the nomination and inscription of the NPOI as a WNH site (see the Resolution). Apparently responding in part to the civil society's requests and concerns sent to IUCN, the Japanese Ministry of the Environment provided supplementary information to IUCN to secure the nomination process would go without trouble. To the surprise of the Ministry, however, in May 2018, the IUCN recommended that the nomination by the Japanese Ministry of the Environment should be “deferred” (see the Ryukyu Shimpo). The returned and the remaining areas of NTA next to the nominated area of NPOI remained as problems for IUCN. In its diplomatic language, IUCN presents the following evaluation. "IUCN does not consider that the area(s) as nominated meets the integrity requirements." 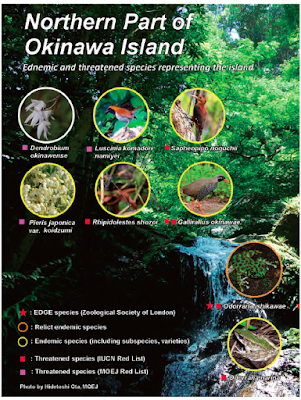 "On Okinawa, the nominated areas appear quite fragmented on the map, although there is a good degree of overall landscape and habitat connectivity, mostly through the intact forest in the returned and remaining NTA, which are not currently included in the nominated area, nor buffer zones" (p.44). Thus, IUCN recommended, among other things, that the Ministry "integrate the returned areas of the Northern Training Area on Okinawa Island into the nominated property, as appropriate, taking into consideration their contribution to the justification of criterion (biodiversity), and further develop the necessary coordination mechanisms to integrate the remaining areas of the Northern Training Area into the overall planning and management of the nominated property" (p.46). In response to the recommendations, in June 2018, the Ministry withdrew the nomination (see the Japan Times). We suspected that the Ministry wanted to avoid by all means that the issues of NTA and other issues in the nomination would be exposed at the World Heritage Committee Meeting in Manama Bahrain in the summer of 2018. On February 1, 2019, the Japanese Ministry of the Environment submitted its revised nomination with a sense of urgency (this could be the Ministry's last chance) (see the Ryukyu Shimpo) (see also the Nomination Document and the Nomination Annexes). This time, the nomination dossier includes information (albite limited) on NTA, a discussion on the collaboration between the Japanese and U.S. governments with the text of the "Document Concerning Cooperation with the United State Government in Northern Training Area" (the Japan-US Joint Committee) in the nomination annexes (p.5-541), and excerpts of the U.S. Marines’ Integrated Natural Resources and Cultural Resources Management Plan (INRCRMP) also in the appendix (pp.5-487-540). In other words, the Ministry of the Environment (and the U.S. government) has incorporated into the nomination documents what we civil society members had demanded to be incorporated. With these "improvements," the revised nomination is an achievement for us civil society members as well. The inclusion of such information in the new dossier is significant. The Japanese government is usually extremely reluctant to disclose information relating to the U.S. military in Japan, especially "agreements" made in the secretive Japan-US Joint Committee. Documented now in these international convention-bound documents, the information, especially the collaboration agreement, should be used as valuable tools to secure the NPOI as a WNH site. 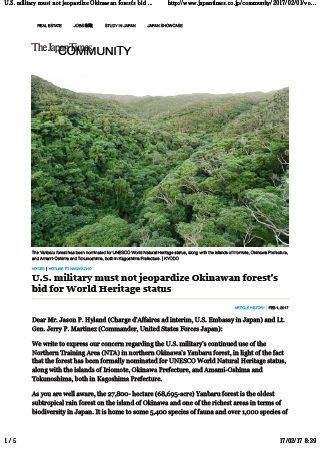 Much work remains ahead of the Japanese Ministry of the Environment, civil society members and the U.S. military and government. After all, a dossier is just a dossier. The mere inclusion of information on the environment of NTA, both returned and remaining, and the collaboration agreement in the new nomination dossier alone cannot resolve actual problems. Even the information itself may need further scrutiny. For example, the new nomination document claims that the Japanese government conducted surveys in the returned area of NTA now included in the NPOI and confirmed the areas surveyed are "free from soil pollution and water contamination.” (p.128) However, many parts of the returned area are littered with bullet shells, unexploded ordinance, and other discarded military materials including toxic chemicals (see the Ryukyu Shimpo). It is also hard at this point to gauge to what extent the "collaboration agreement" is effective. The U.S. military’s aircraft flight training in NTA appears to be intensifying, creating more “noise pollution" than before in NTA. 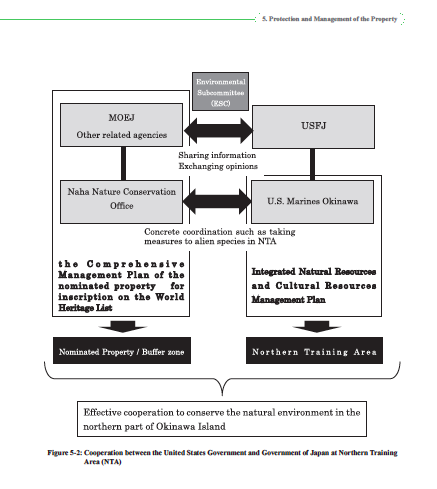 This is because while the area of NTA was reduced due to a half of the original size (the returned are is now part of the NPOI), “the same amount of training" is being carried out in the remaining NTA (see p. 113, The U.S. Marine's Integrated Natural Resources and Cultural Resources Management Plan, 2014). It is also difficult to envisage how the construction of a new U.S. military airbase in Henoko-Oura Bay, just 10 miles away from the nominated area of NPOI, will affect the nomination process. The 2018 IUCN evaluation "confirmed this development (the base construction site) is distant from the nominated property." (p.46) Should the base be constructed, however, many aircraft (more than 70 aircraft are expected to be stationed on the base) will take off from the base, fly to the Yambaru forest, and carry out their low altitude flight training in and around NTA. These issues need to be addressed and acceptable solutions need to be presented or at least proposed in the next fifteen months before IUCN make its final decision on the nomination. To that end, all the parties involved must maximize their efforts by building upon the improvements made in the nomination dossier.